Ḥasidic rabbi of Koretz, Volhynia, and later "maggid" (preacher) of Ostrowo, government of Lomza in Russian Poland; flourished at the beginning of the nineteenth century. He was a pupil of Israel Baal-Shem's successor, Baer of Meseritz. 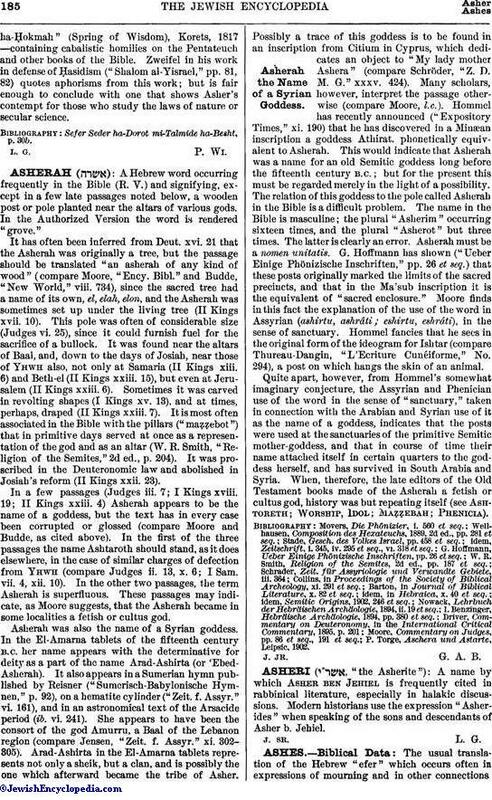 Asher is the author of "Ma'aynha-Ḥokmah" (Spring of Wisdom), Korets, 1817 —containing cabalistic homilies on the Pentateuch and other books of the Bible. Zweifel in his work in defense of Ḥasidism ("Shalom al-Yisrael," pp. 81, 82) quotes aphorisms from this work; but is fair enough to conclude with one that shows Asher's contempt for those who study the laws of nature or secular science. 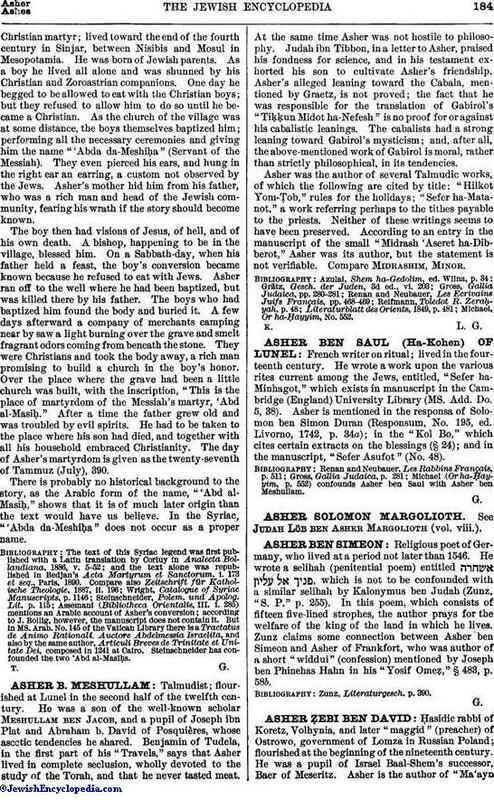 Sefer Seder ha-Dorot mi-Talmide ha-Besht, p. 30b.